Marijuana is a naturally occurring plant that causes a variety of effects in people that use it casually, recreationally or for medicinal purposes. Marijuana is generally not legal for recreational use except you may possess small amounts in the States of Colorado and Washington. Many other states have special provisions that allow people to use marijuana as medicine with a prescription. Although Maryland passed a medicinal marijuana law in 2012, the law is very complicated and its provisions have yet to be utilized to permit Maryland residents to use marijuana as medicine. The United States Federal Government still classifies marijuana as a schedule 1 drug, similar to heroin, meth, and crack. What are the penalties for marijuana possession in Maryland? Each State and the Federal Government have their own penalties for possession of marijuana. For possession of less than 10 grams of marijuana the maximum penalty is a civil offense and a maximum fine of $100 for a first offense. Click here for Marijuana Civil Citations. For possession of 10 grams or more of marijuana the maximum penalty is one year imprisonment or a fine not exceeding $1,000, or both. What if I have a prescription for marijuana? There are reduced criminal penalties for someone with a “debilitating medical condition” as documented by a physician. Maryland Criminal Law Section 5-601(c)(3) outlines what is necessary to asset the affirmative defense. That marijuana is likely to provide the defendant with therapeutic or palliative relief from the debilitating medical condition. You cannot use the defense of medicinal marijuana if you are found using marijuana in a public place; or if you are found in possession of more than 1 ounce of marijuana. What is a “debilitating medical condition”? any other condition that is severe and resistant to conventional medicine. What happens if I am arrested or given a citation for possession of marijuana? If the police approach you and ask you questions about marijuana you should always tell the officer that you do not want to answer any questions, that you wish to remain silent and that you would like to speak with a lawyer. There is nothing you can do or say that will help your situation, and you cannot talk your way out of the charge. The police may ask you seemingly innocent questions like “Where are you coming from” or they may try to be your buddy and even admit that they have smoked marijuana in the past, more common now is a police officer telling you that they disagree with the marijuana laws and this is just a routine stop. These are tactics used by the police to gather information for your prosecution. Do not give them any information that you do not need to. Simply give them your name and identification and ask to call an experienced lawyer like David D. Nowak, Esq. What if I get pulled over for driving after smoking marijuana in Maryland? Driving while impaired on drugs, just like driving under the influence of alcohol, is a very serious offense. If you are pulled over by the police and they question you about marijuana use or even alcohol use, it is better to be polite and cooperative, but assert your rights to remain silent and to speak with a lawyer. The State must you were too impaired to drive due to the use of a drug or alcohol or they must prove that you are above the legal limit of alcohol in your blood of .08% BAC. The police prove this by observing your behavior, your appearance, your speech pattern, your ability to perform satisfactorily on standardized field sobriety tests, breath tests and possibly blood tests. A Baltimore DUI and DWI lawyer should always be consulted if you are charged with these crimes. Some states have adopted limits of allowable marijuana metabolites in your blood to operated a vehicle. Colorado has adopted the standard of 5 nanograms per milliliter of active THC in your blood as the limit for driving. Maryland has yet to adopt any such limits. Depending on your situation it may be better to ask to speak with a lawyer before agreeing to test. You may have the right to refuse to take a test but you should seek legal advice before agreeing or declining these tests. Always keep an attorney’s card and phne number in your wallet. I saw a video of a K-9 search of a car and they found drugs, how does that work? An important right you have to protect you from government intrusion is your right to privacy. Even if you are pulled over on the highway for a valid traffic stop like speeding, the police cannot search your vehicle without probable cause, consent or after a valid arrest. If the police officer has reasonable suspicion that there is some contraband in the vehicle, he or she may detain you long enough to have a trained K-9 sniff the outside of the vehicle for drugs. If the K-9 “alerts” the police may then have probable cause to conduct a search of part of the vehicle. It is important to carefully observe the dog handler during the walk around. You may challenge probable cause if there was an of improper K-9 search. Sometimes a dog may “alert” through suggestion rather than the K-9 properly detecting contraband. Can the police go through my garbage and charge me with possession of marijuana. Yes, if you have stems, seeds, or other bits of the marijuana plant that you throw in the garbage and put out for garbage collection, the police probably can search your garbage for evidence. Typically, there is no right to privacy in your garbage if you have put it out for someone to collect. The Maryland Police Departments are known for going through garbage and using discarded mail and scraps of “waste” marijuana to try to bring a possession case against people. This can also be used as a supporting fact to get a search warrant for the police to search a home. Do I need a lawyer for possession of a small amount of marijuana? Yes! Whenever you are accused of a crime in Maryland especially a drug crime you should consult with an experienced criminal defense attorney. There are far reaching consequences to a drug conviction. If you have a “guilty” on your record for even a trace amount of marijuana you may be prevented from receiving federal benefits such as student loans and financial aid, you may lose welfare benefits, you may be prevented from working with children and becoming a teacher, if you wanted to join the military or have a career in law enforcement or law you may be forever answering for this charge, if you hold a green card you may be deported. Without proper legal advice you may not really know the consequences of what you are doing. David D. Nowak, Esq. 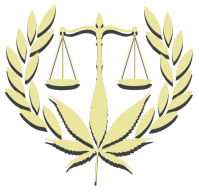 has represented clients in marijuana cases throughout Maryland. His most recent marijuana possession cases are in Baltimore City, Baltimore County, Anne Arundel County, Harford County, Cecil County, Allegany County and Queen Anne’s County. However, he represents clients for drug possession cases in all of Maryland’s counties including Garrett County, Washington County, Frederick County, Carroll County, Montgomery County, Howard County, Prince George’s County, Calvert County, Charles County, St. Mary’s County, Talbot County, Caroline County, Dorchester County, Wicomico County, Somerset County and Worcester County. Call David D. Nowak, Esq. at 443-470-9071. Marijuana FAQs is for information use only. If you have been charged with a crime you should speak with an attorney for legal advice. 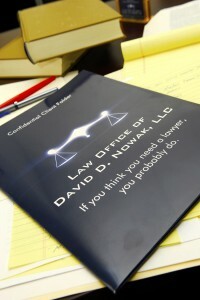 The Law Office of David D. Nowak, LLC is dedicated to achieving the best outcome for every client. Contact us today to discuss your case. We offer a free phone consultation and we can arrange evening or weekend appointments. © Law Office of David D. Nowak, LLC 2016. All Rights Reserved.